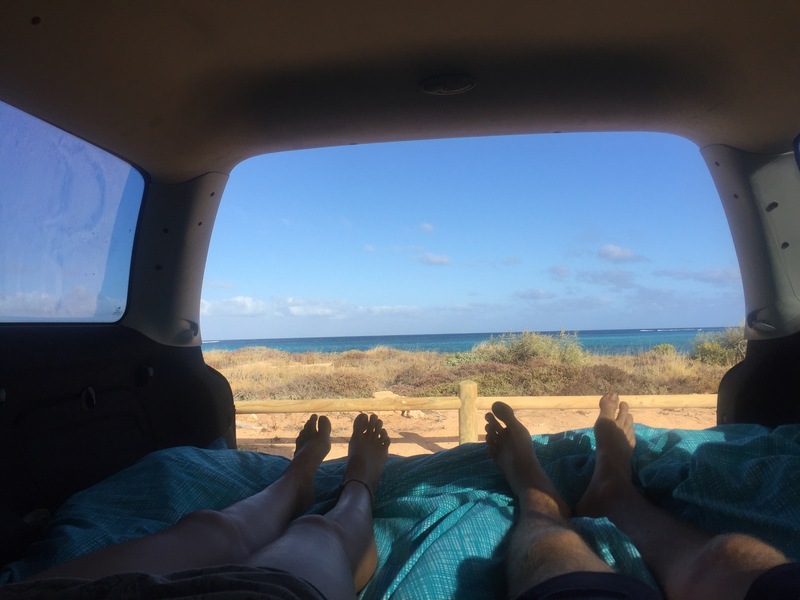 After having to drive an extra day than we had planned (the road we were going to take turned out to be unsealed and so we weren’t allowed to drive on it under the terms of our rental car), we finally made it to Exmouth on the west coast on Monday 2nd October 2017! As we arrived into Exmouth we were greeted by an emu crossing the main road. I was driving at the time but Niall said the emu saw a car so fell to the floor in fright to get away from it. The car just avoided the emu and it ran off the road – only in Australia eh?! We managed to get a spot on a campsite called Osprey Bay but didn’t end up driving there until after dark. In the U.K. this wouldn’t be an issue in the slightest; driving in the dark just means having your lights on, no big deal, right? Well, in Australia this means that you have a dramatically increased risk of hitting some form of wildlife and in the Cape Range National Park that our campsite was in had kangaroos, wallabies and emus so a lot of animals that would wreck our car and kill the animal (and maybe injure us in the process). The journey should have taken an hour but ended up taking double that and became an exercise in ‘spot the kangaroo’. Every few feet a kangaroo or wallaby would be spotted on the side of the road and we would slow down to a crawl to pass it – one still decided to run in front of our car and it was only Niall’s excellent reflexes that stopped us hitting it! It was mildly stressful but also became very funny as we inched ever closer to our campground. Once we arrived we were thrilled as we had landed a spot which looked out onto the sea and that we could walk down to the beach from (we could vaguely see this in the moonlight). 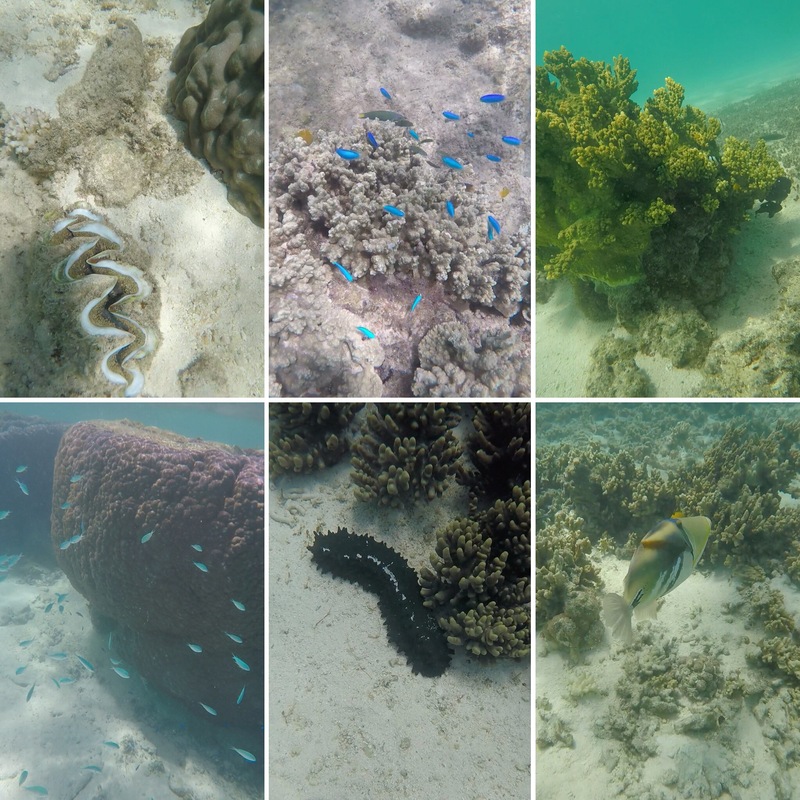 It was going to be a great few days snorkelling in the Ningaloo Marine Park which is a protected area of the coastline boasting a huge amount of marine life and coral for our enjoyment! We woke up to the sound of the ocean and the sun shining into the car. As we looked out of the window we were so happy to be right next to the beach, looking out over the ocean! We had both pictured this to be what our road trip would involve and we couldn’t believe how much we had lucked out on the prime camping spot when we had booked so last minute. 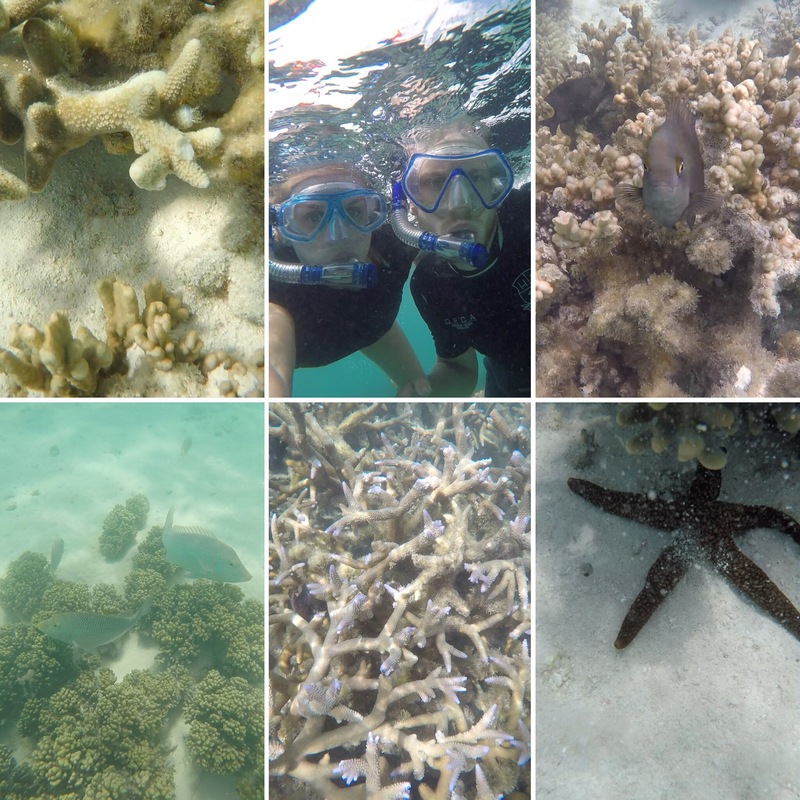 Our first snorkel spot in the marine park was at a place called Lakeside. This was a drift snorkel site which meant you would swim out along the south side of the beach and then the tide would carry you along, over the coral, to the north side where you’d then get out and repeat the process. 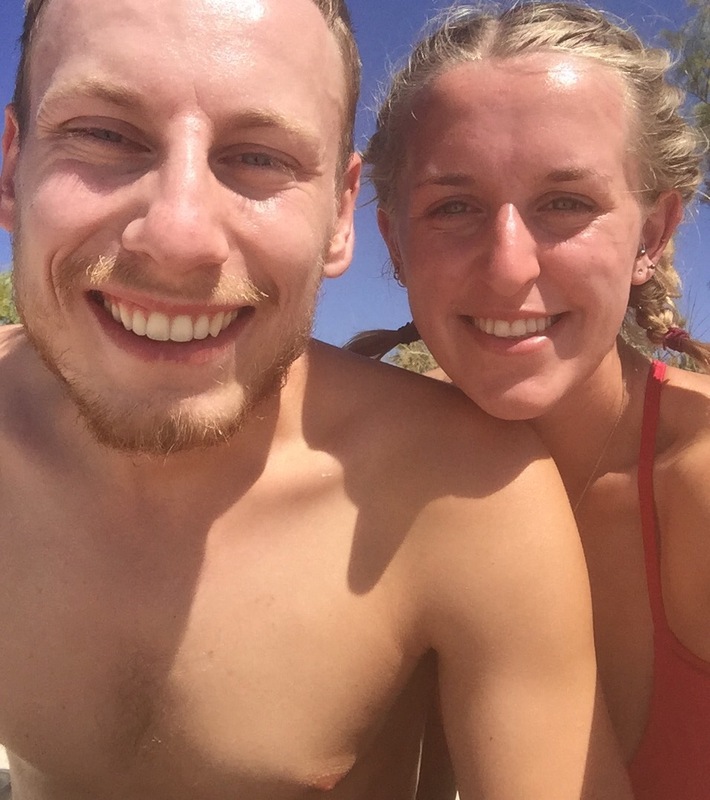 We had read that this was a good place to see turtles and, as luck would have it, Niall spotted a turtle within 10 minutes of our first snorkel. 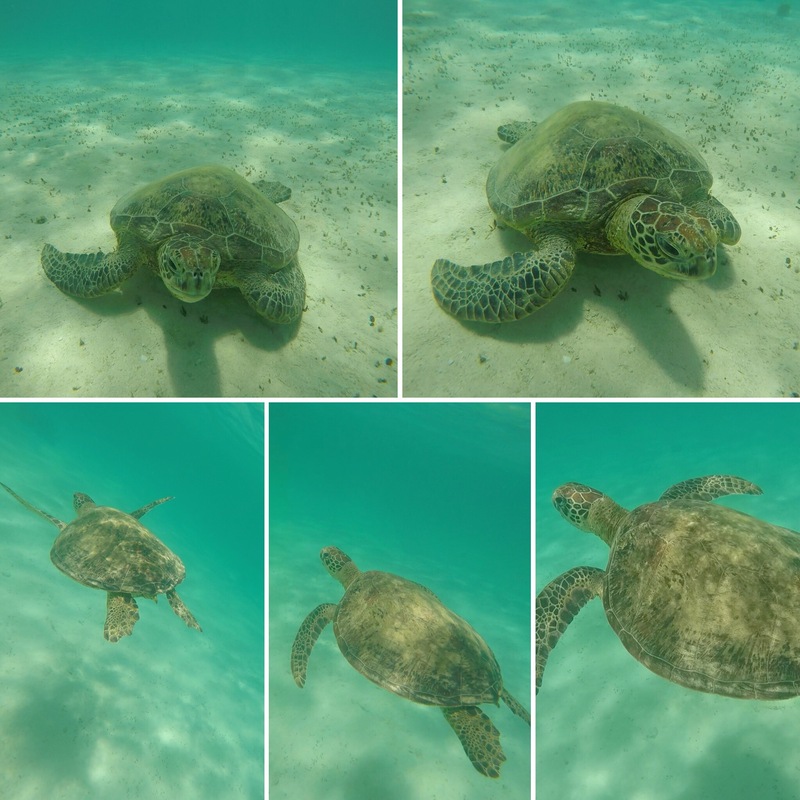 The turtle was beautiful, sitting peacefully on the bottom of the ocean floor and we were able to fight the current to stay looking at it for ages. 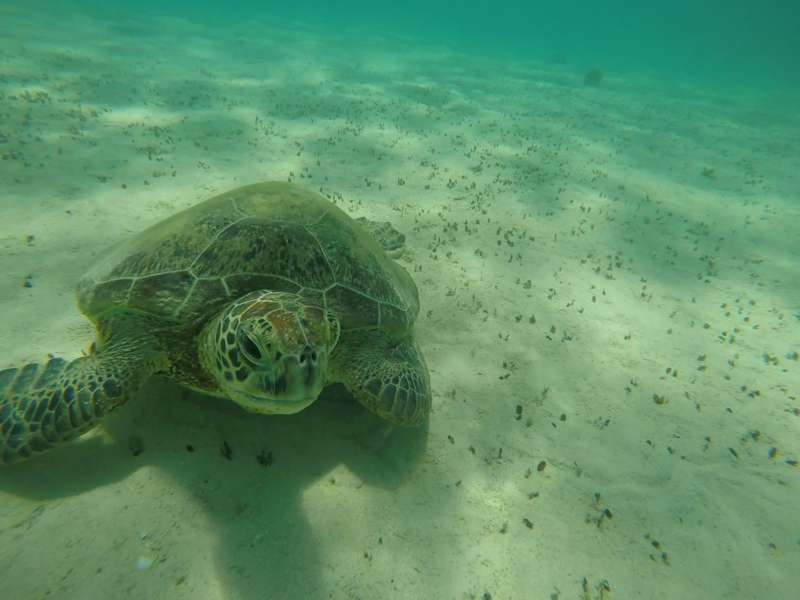 We were able to dive down to get a closer look at it as it wasn’t too deep and then the turtle swam up for air so we got to swim alongside it for a while as well. The turtle then swam away against the current and we were both so tired from staying with the turtle and diving down that we decided to head back to the shore and have a rest. It was an amazing introduction to the area and it was the main marine life we had wanted to see whilst we were here so we were thrilled to have seen one so early in the day! 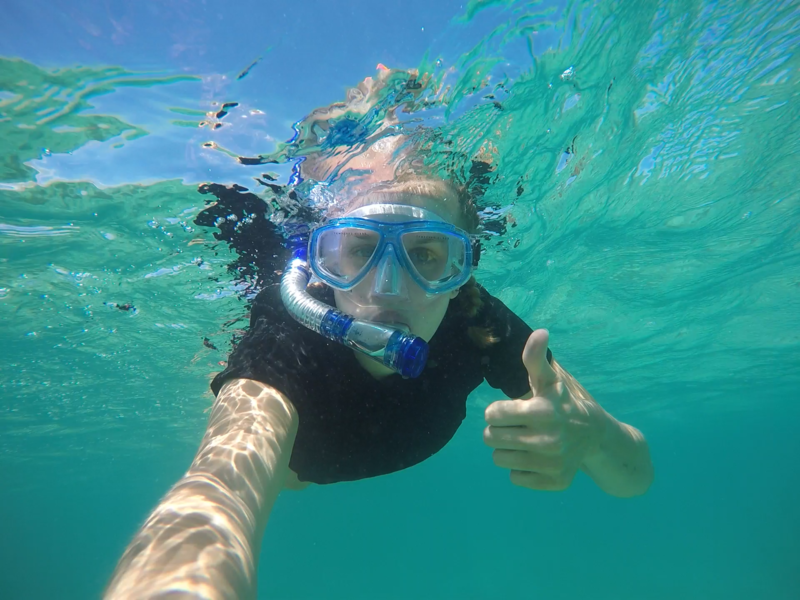 Our next snorkelling spot was at a place called Turquoise Bay which was said to have the best snorkelling in the marine park. This was also a drift snorkelling site and we could see before we even got into the water the coral stretching very far all the way across the ocean floor along the beach. As the name suggests, the water was a gorgeous turquoise colour and the sand was really white so even before you got into the water you were happy to spend a long time here just to enjoy your surroundings. The bay did not disappoint! 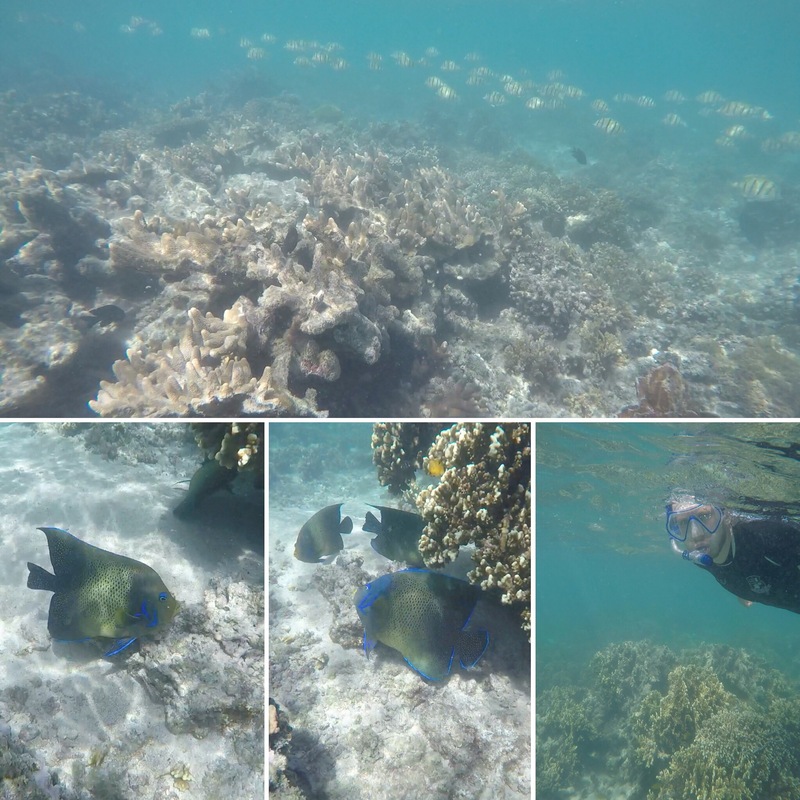 We swam along for over half an hour being drifted by the current over masses of different colour coral all full of a range of tropical fish. Everywhere we looked a new shape or creature was in front of us and we only got out when we had reached the end of the beach and the current was drifting us into shallower areas. We had ended up right at the other end of the beach (we’re both strong swimmers so nothing to worry about here!) but you can imagine this getting some people into some trouble as the current was very strong! It was starting to get more windy and the sun wasn’t as strong so, before we ended up getting too cold, we decided to head back to camp. 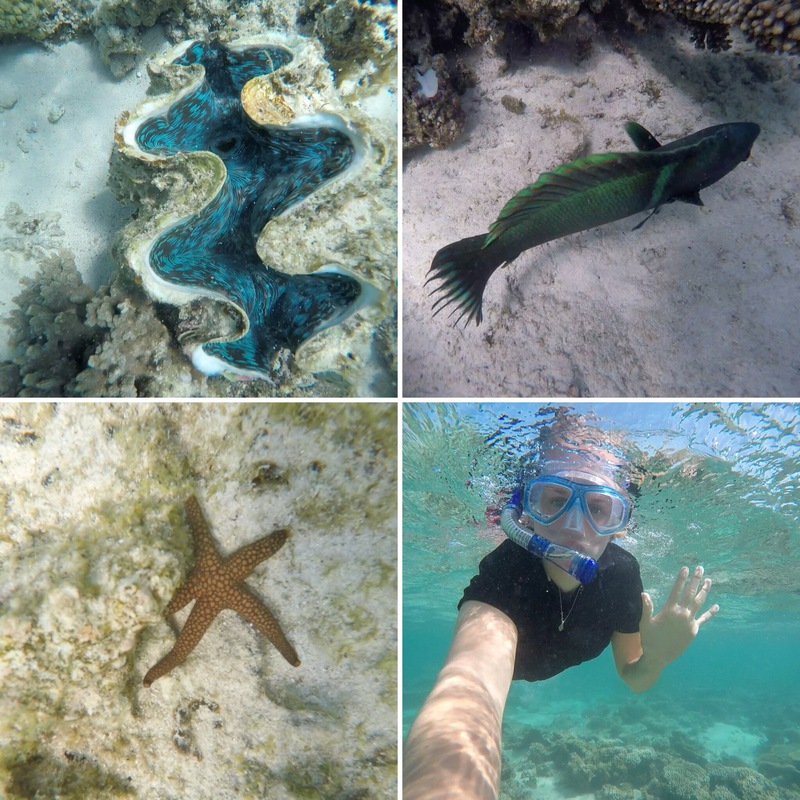 It had been a great first day exploring the marine park and we were excited to see what else we would find in our second day snorkelling at new spots along the coast. 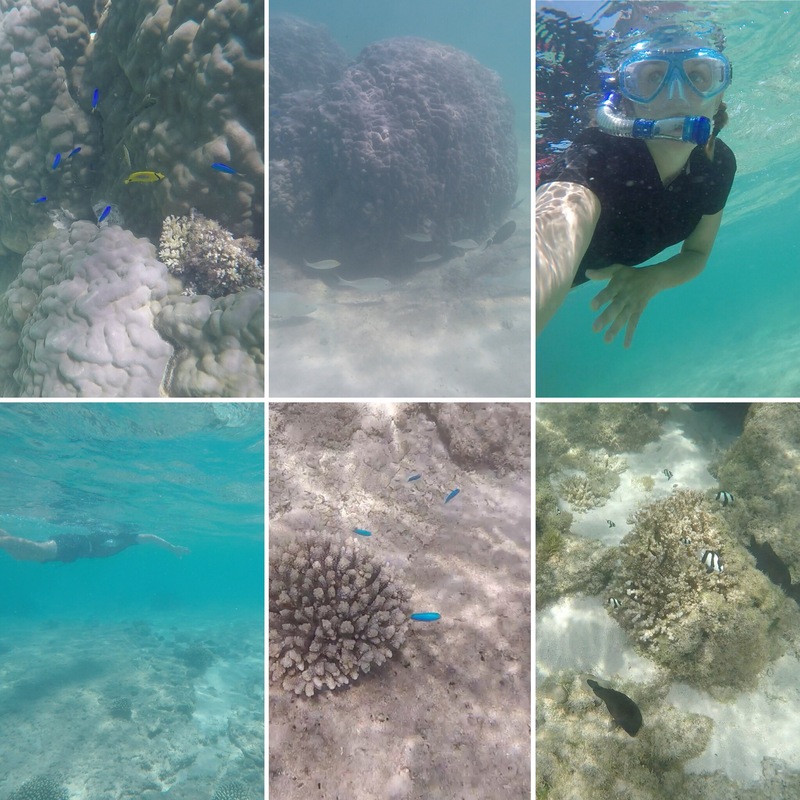 Our final snorkel stop in the Marine Park was to Oyster Stacks which we could only access during high tide, otherwise the water was too shallow to swim on top of the coral. On the 4th October this was at around 9:20am and we got into the water at around 9am meaning we had an hour to snorkel around before the tide started to go out again. 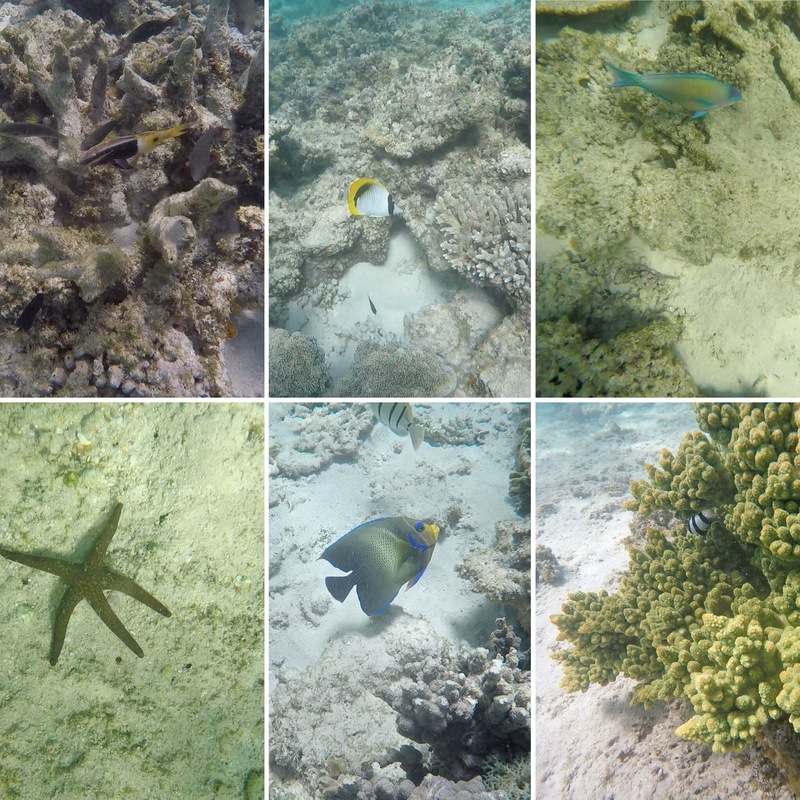 The coral was really good here and we saw so many different, colourful fish amongst the coral. 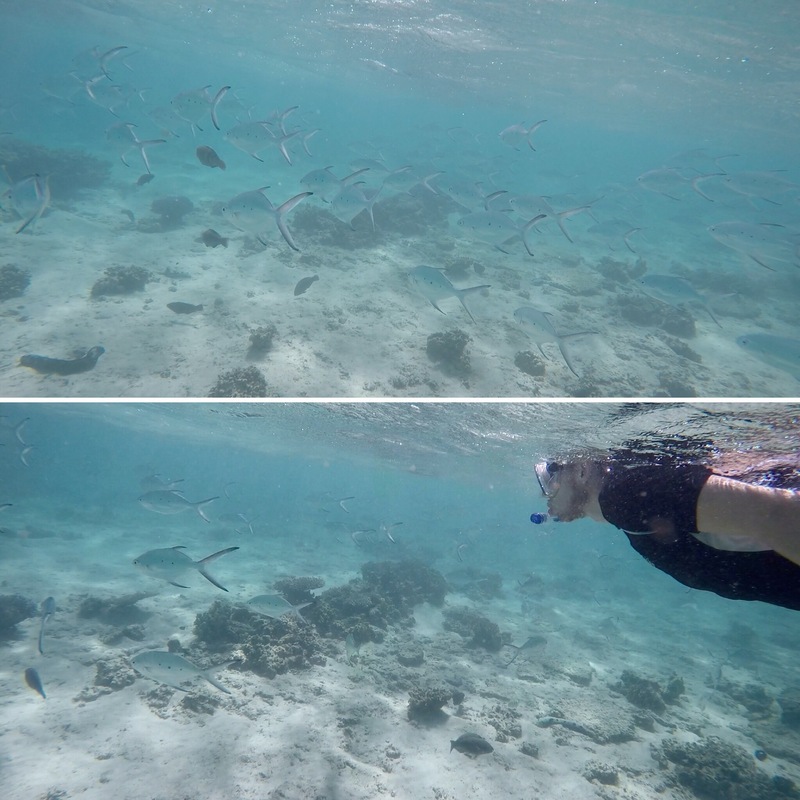 There were enormous schools of giant fish looking for food – probably the biggest fish we’d seen during the past few days and they were relatively unconcerned with you swimming alongside them. We were out here for the longest as it wasn’t a drift snorkelling site and so you didn’t reach ‘the end’ and would have happily stayed out there longer had the tide not started to go out again. 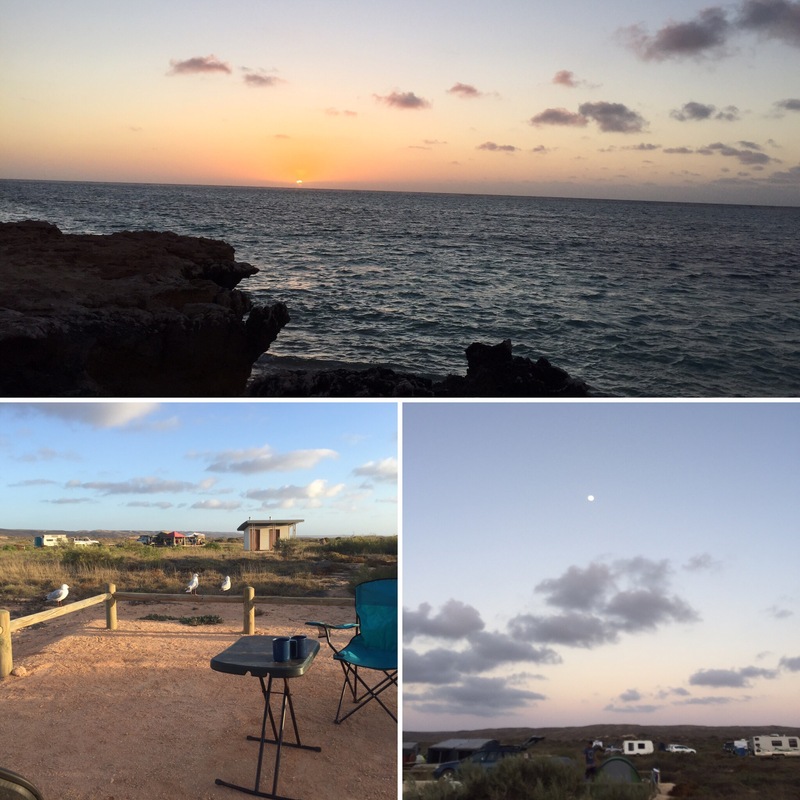 We couldn’t get a campsite spot for our final night in the national park (it was school holidays) so we decided to head to Coral Bay and then find a free camping spot back on the road that evening. 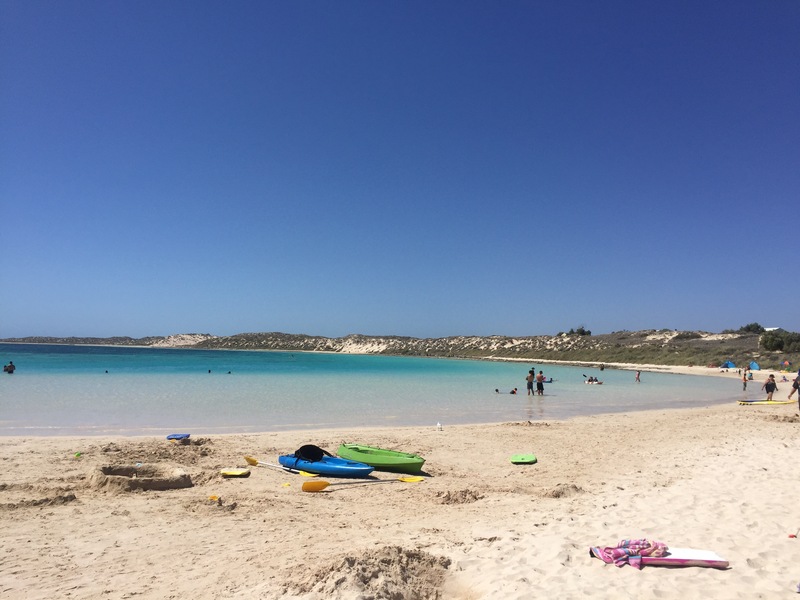 Coral Bay was gorgeous! The whitest sand and turquoise sea and we spent hours here sunbathing, relaxing and swimming in the sea. 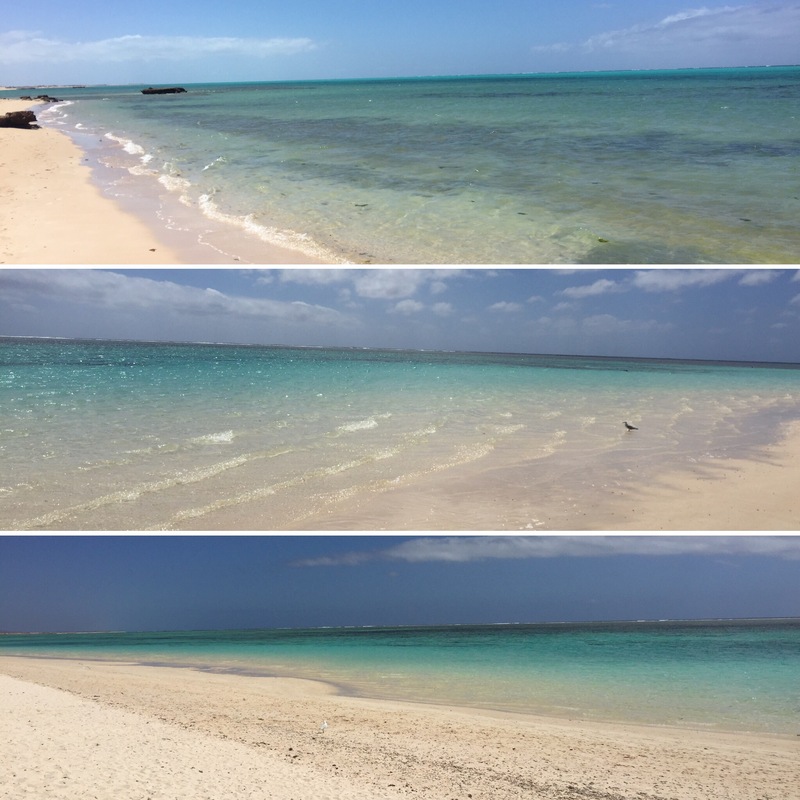 We actually left snorkelling a bit late – enjoying relaxing on the beach too much – and so the visibility wasn’t excellent but we had already experienced some amazing snorkelling during the last couple of days so this didn’t phase us in the slightest. 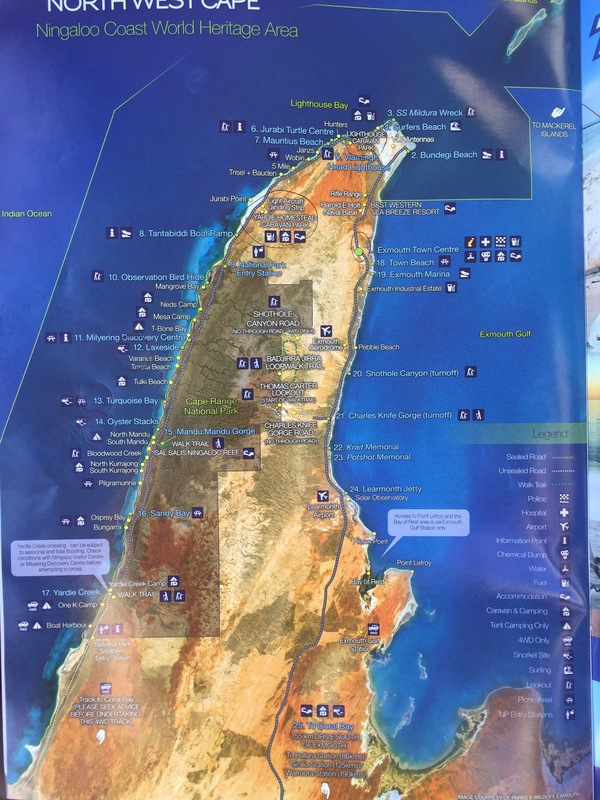 We had the best time snorkelling in the Ningaloo Marine National Park and could have stayed for a lot longer just enjoying the sun, sand and sea but it was time to move on and continue down the west coast towards Perth.